corrosion in pipes where access is difficult. Typical test range 60m 197’ from single location, ideal conditions can achieve 350m 1148’. Coast Analysts have successfully achieved a 570’ examination on a span with supports over a river. Reliable detection of 9% metal loss flaws, this is a volumetric measurement and the unit is sensitive to 3% metal loss. Short Range Guided Wave is utilized as a complementary tool during Long Range Guided Wave inspection to capture the deadzone. 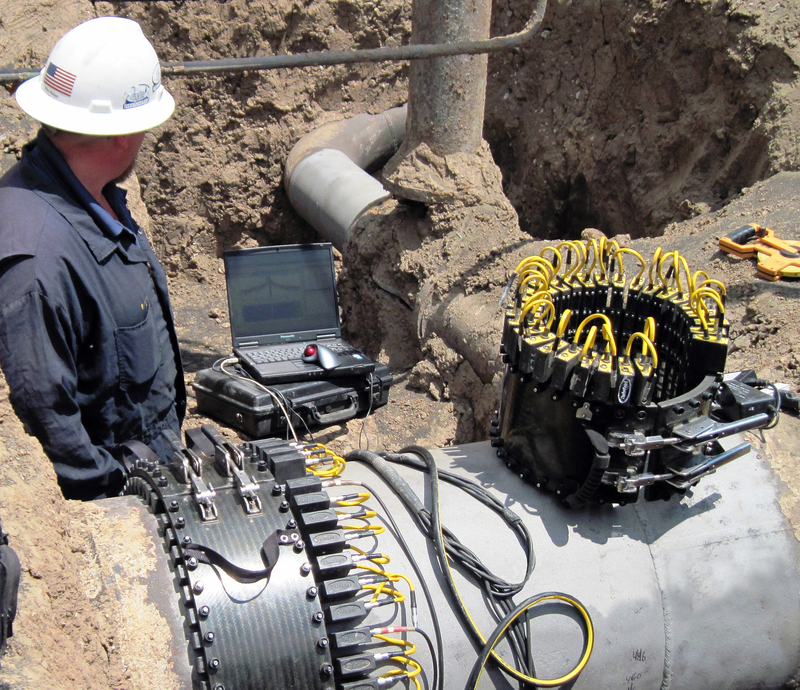 It is also ideal for scanning under obstructed locations such as vaults and pipe supports or risers. 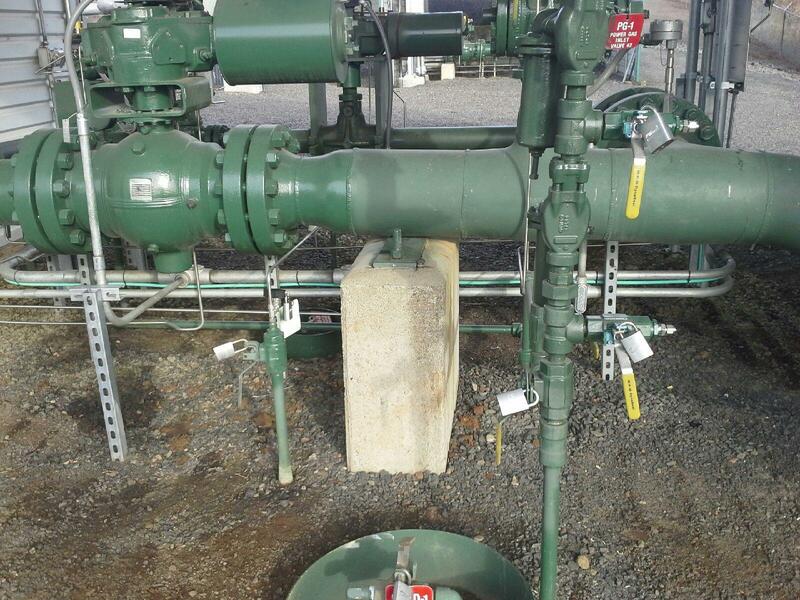 In areas deemed inaccessible without the excessive cost of disassembly or deconstruction, SRUT is utilized to locate corrosion and metal loss on storage tanks and piping components. 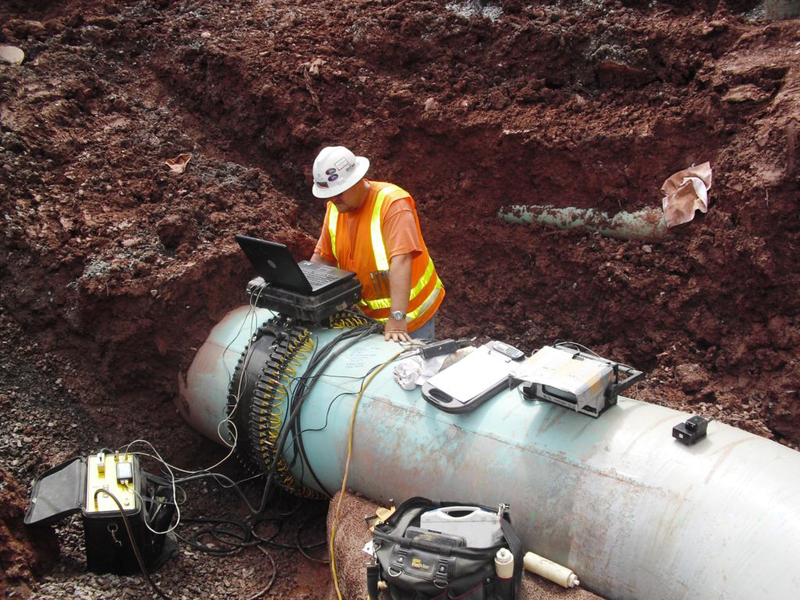 This technique provides recorded data to the client and can be used as a baseline for future inspections.